Live your dream, take the controls and experience flight from the pilot seat. These flights are perfect as gifts for special occasions or for someone who may be interested in pursuing flying as a career or hobby. Your experience will begin with a briefing with a qualified instructor on the basics of flight. Then it's off to the training area to put all that theory into practice. Your instructor will be right next to you guiding you through your experience and answering any questions you may have. Be warned flying is very addictive and you will want more. Q. How do I start my career as a commercial pilot? Q. How do I start flying as a hobby? Take off from Camden airport and track north east where your instructor will hand over to you. Then it is off to orbit the harbour, Chatswood or a low level flight along the northern beaches of Sydney. 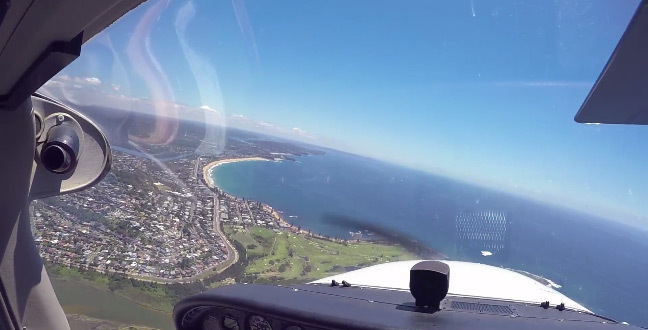 Have your camera ready as you will be amazed at the beauty Sydney has to offer from the air. Take off to the training area where you put your theory into practice. Your instructor will be right next to you guiding you through your experience and answering any questions you may have.